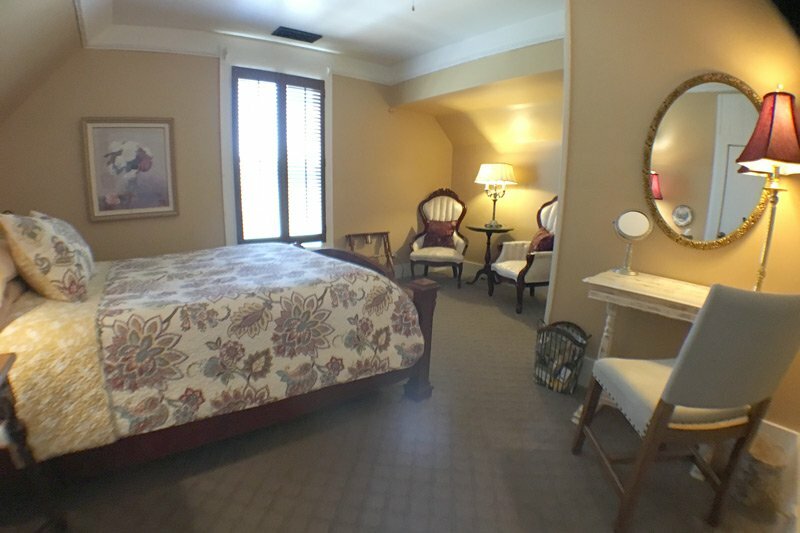 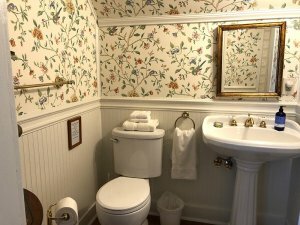 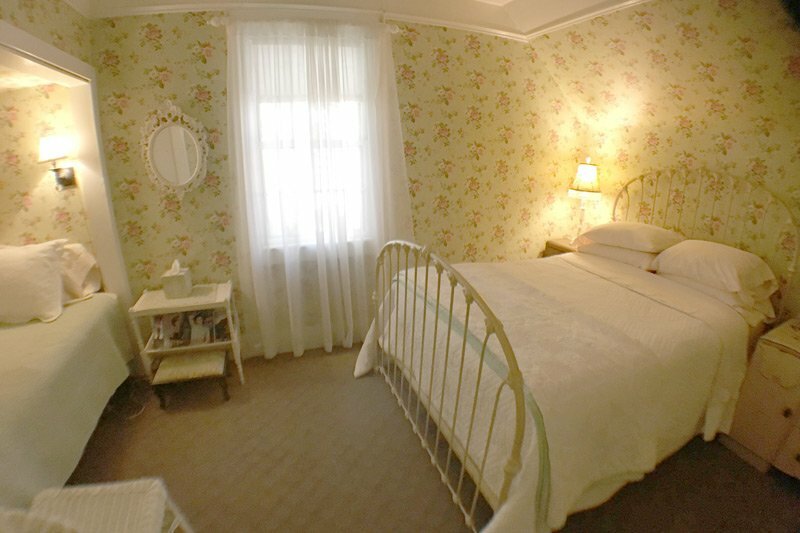 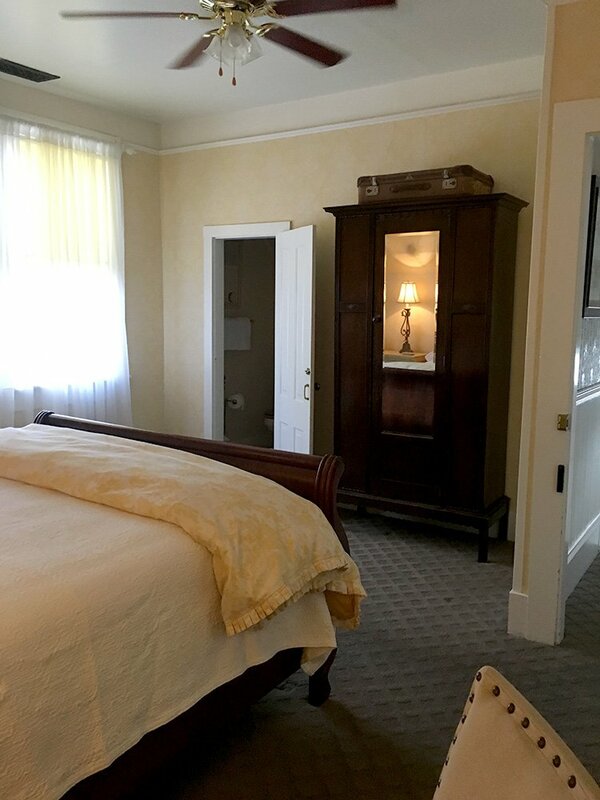 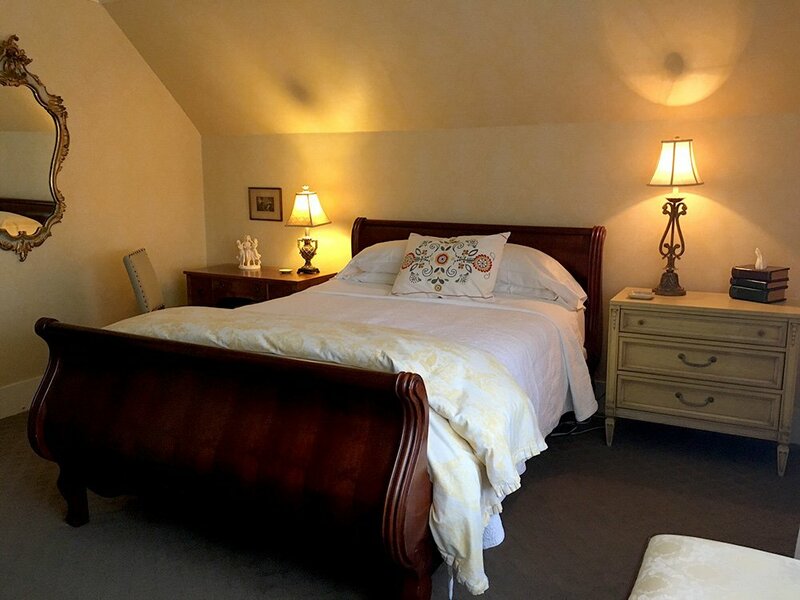 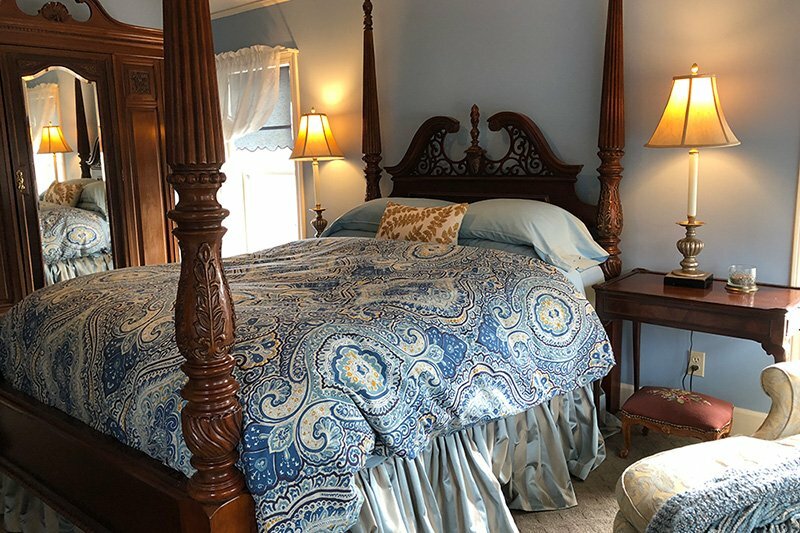 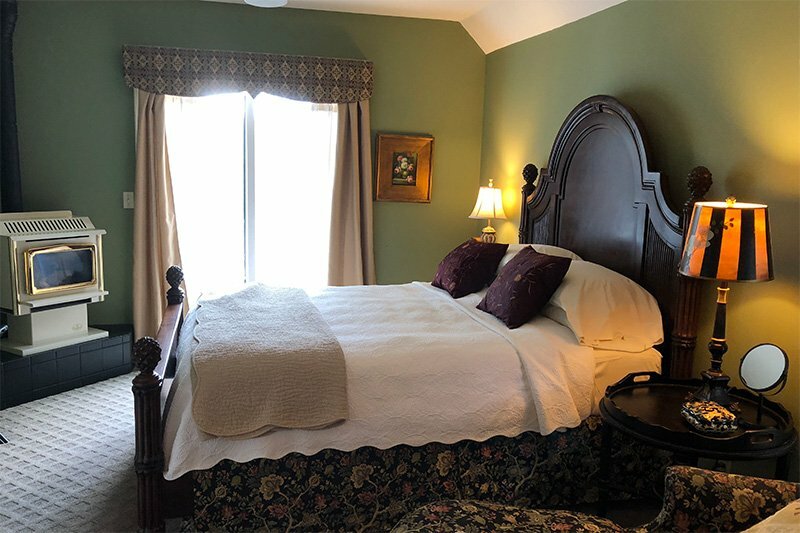 The original Master bedroom of the house, overlooking Broad Street with quality, sophisticated furnishings, and a private bath with shower. Wallpapered with Laura Ashley pastel yellow and white. 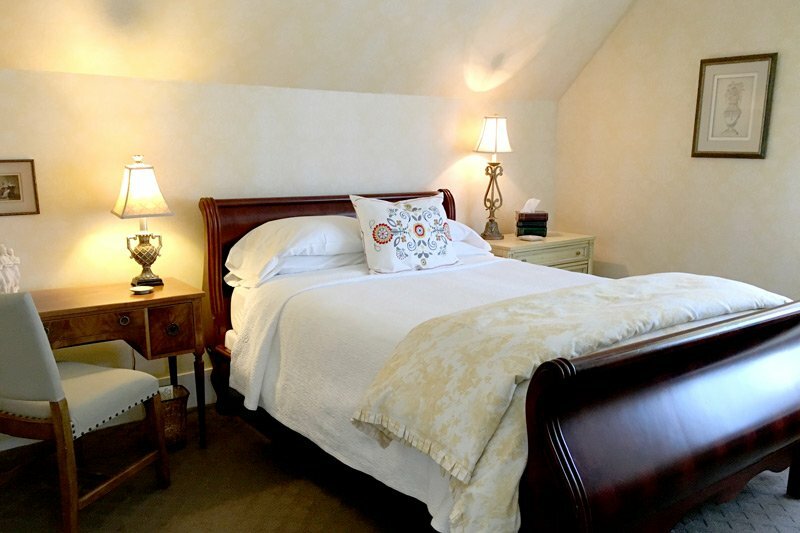 Sleigh queen bed with luxury linens.